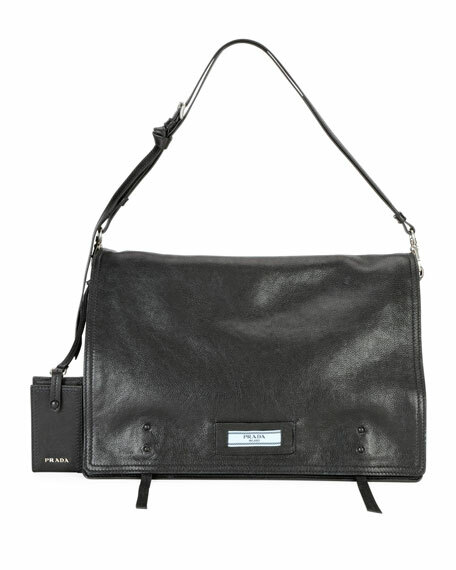 Prada shoulder bag in glazed calf leather with light blue logo detail at center front. Prada cross body in Calf leather. Full flap top with hidden magnetic closure. 8.5"H x 13"W x 5.1"D.
For in-store inquiries, use sku #2428350.